We specialize in providing quality lubricants at competitive prices. 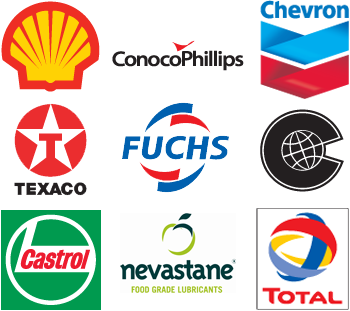 Supplier for Motor Oil, Hydraulic Fluid, Grease, Metalworking Fluids, Food Grade Lubricants, etc. We will deliver small or large quantities to industrial, commercial or private customers and walk in customers are always welcome. Same or next day delivery on in stock items and no delivery or environmental fees, ever. Give us a call or e-mail for a quote or to request a representative to visit with you.